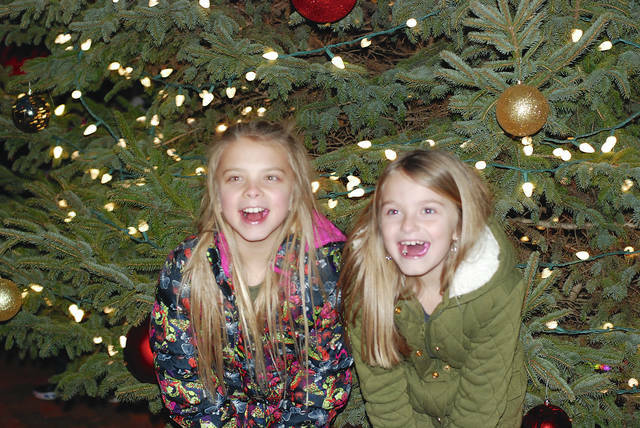 Nine-year-old Clohee Jordan (left) and her sister Carlee Wooten (age 7 1/2) pose for a portrait in front of the newly-illuminated Christmas tree in downtown Urbana’s Monument Square District on Friday evening. A holiday horse parade and the first appearance of Santa Claus at Oxner’s General Store rounded out the festivities. See more photos in Monday’s edition of the Urbana Daily Citizen.